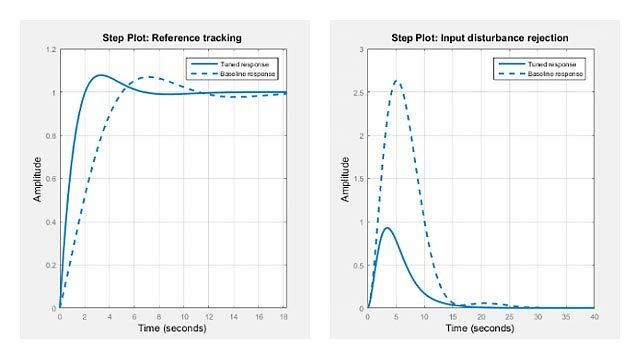 For more information about the control system configurations supported by the Control System Designer, see Feedback Control Architectures. For each configuration, you can specify the plant model G and the sensor dynamics H, initialize the compensator C and prefilter F, and configure the open- loop and closed-loop views by specifying the corresponding fields of the structure init_config. Then you can start the Control System Designer in the specified configuration using controlSystemDesigner(init_config). Output argument init_config is an object with properties. The following tables list the block and loop properties. Row or column array of LTI objects. If the sensor H is also an array of LTI objects, the lengths of G and H must match. Row or column array of LTI objects. If the plant G is also an array of LTI objects, the lengths of H and G must match. Create an initialization template for configuration 2, with the compensator in the feedback path. Specify the fixed plant model. Specify an initial compensator value. 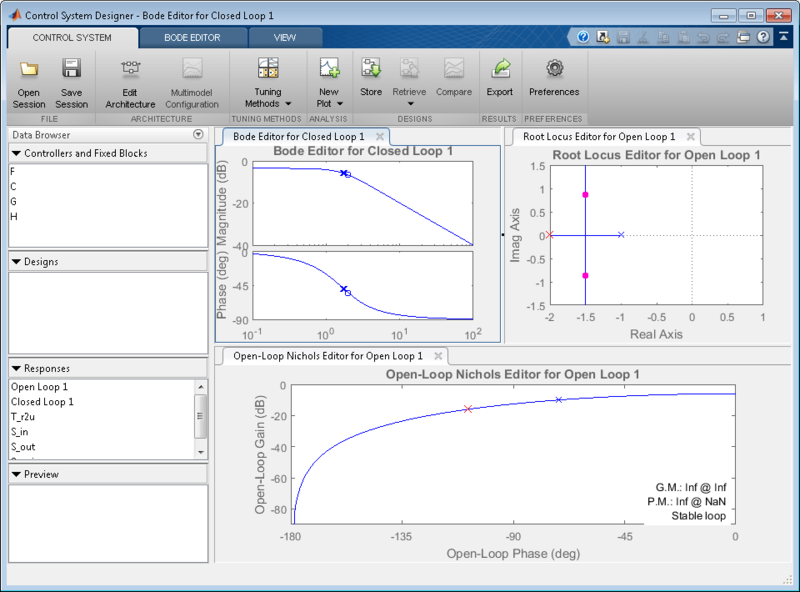 Open a root locus Editor and Nichols editor for tuning the open-loop response. Open Control System Designer using the specified configuration settings. By default, the template for configuration 2 also opens a Bode editor for tuning the closed-loop response. Create an array of LTI objects to model variations in plant G.
Assign G to the initial configuration. 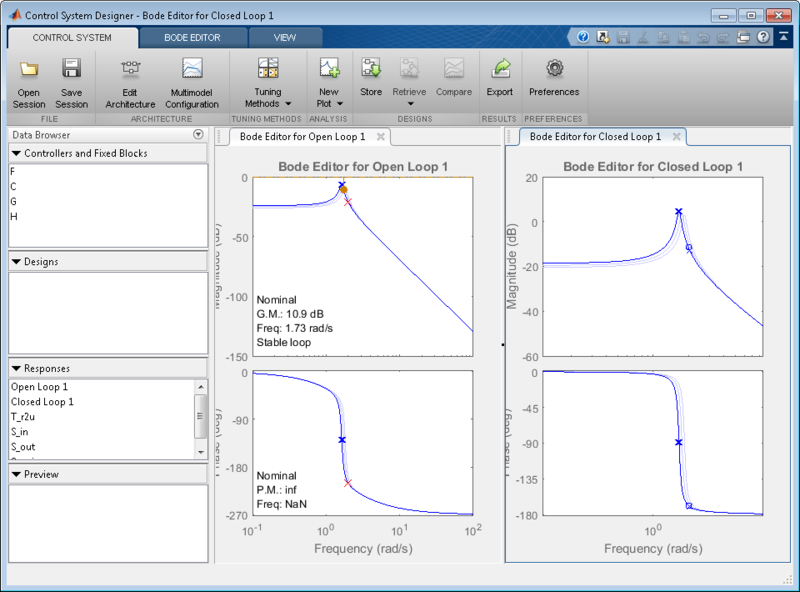 Use a graphical Bode editor to tune the open-loop response.